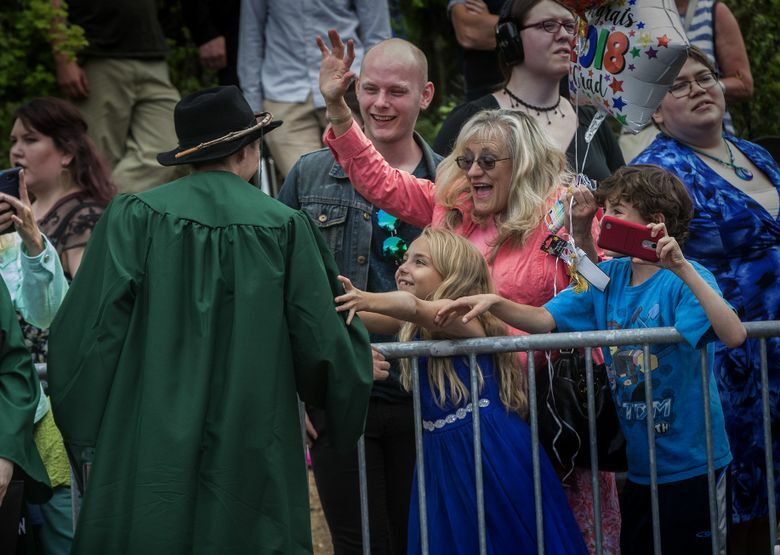 The Evergreen State College is anticipating a big drop in enrollment this fall. Some point to the protests last year as a cause of the decline, while others say it's a variety of factors. But school officials agree on one thing: It's time to change. No grades, no departments, no majors. 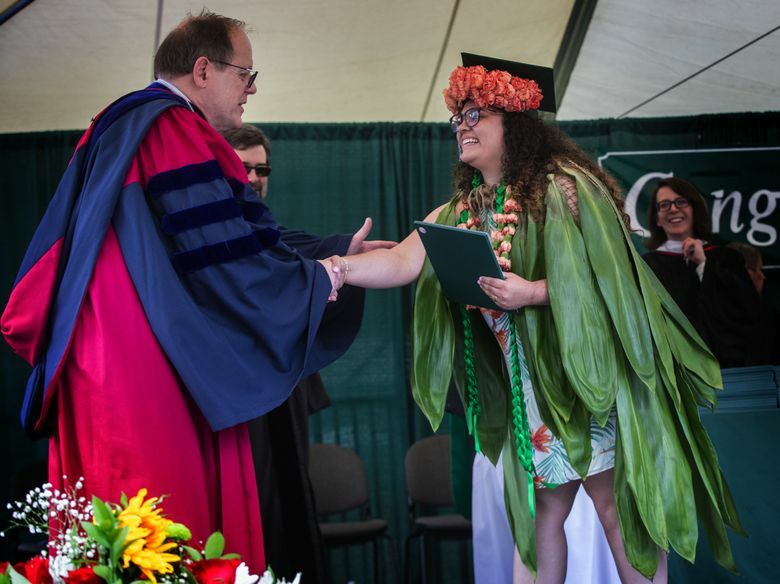 For years, The Evergreen State College has been famous for a freewheeling approach to higher education. But last spring, after demonstrations rocked the campus, critics on the right — and sometimes the left — characterized the Olympia public college as a place where an extreme form of political correctness had taken hold. 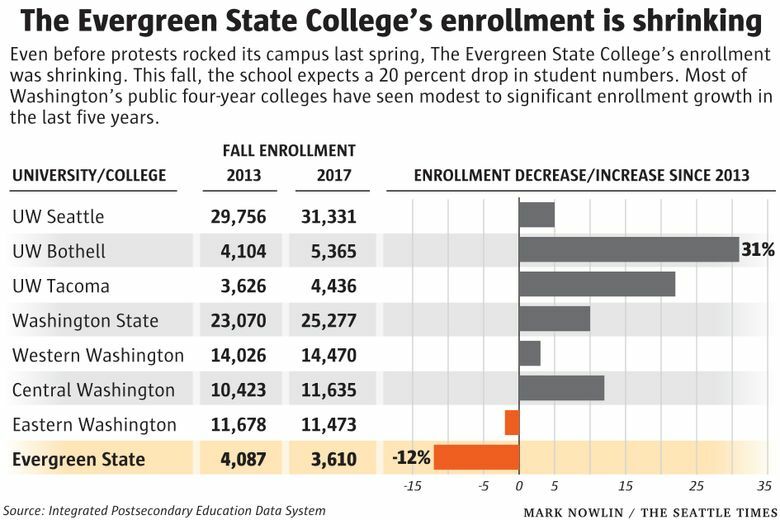 This fall, Evergreen expects its enrollment to drop by 20 percent, almost 600 students. For the state’s smallest public college, that’s almost a thousand fewer students from just five years ago. Now school officials and faculty are wondering what’s to blame and how they can reverse the accelerating trend. Was it the demonstrations, our changing national politics or incessant media coverage? The answer is debated. But one thing school officials agree on: Evergreen needs to reinvent itself to survive. Its president, George Bridges, says the school is already trying to do that, moving away from its unstructured, 1970s model of education. 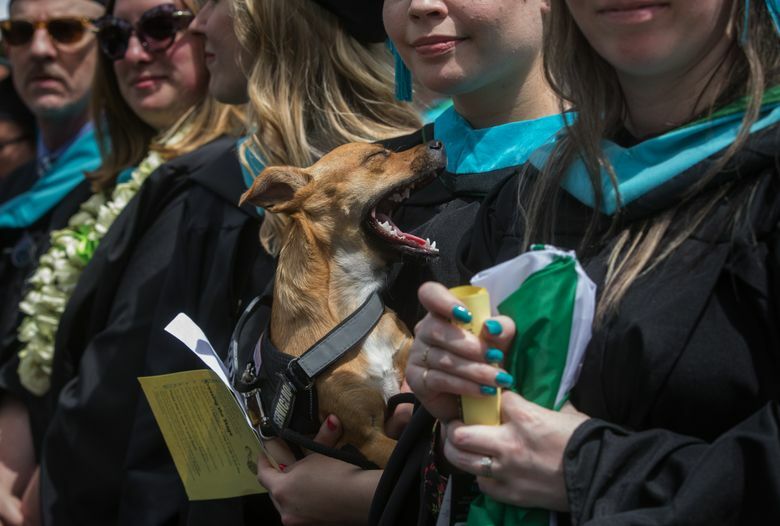 He also thinks it needs to do a better job of telling the story of grads who used Evergreen as a springboard to success in software, music and other areas. Even so, some critics argue that the school isn’t changing enough, and that it’s wrong to think of its woes as a marketing problem. They say the school should be more tolerant of a range of viewpoints, more welcoming to students who don’t fit its mold. Nationwide, liberal-arts colleges like Evergreen have seen a steady decline in enrollment over the past decade as price-conscious, career-minded students flock to traditional colleges and major in specific areas — like business and computer science — that lead to high-paying jobs. 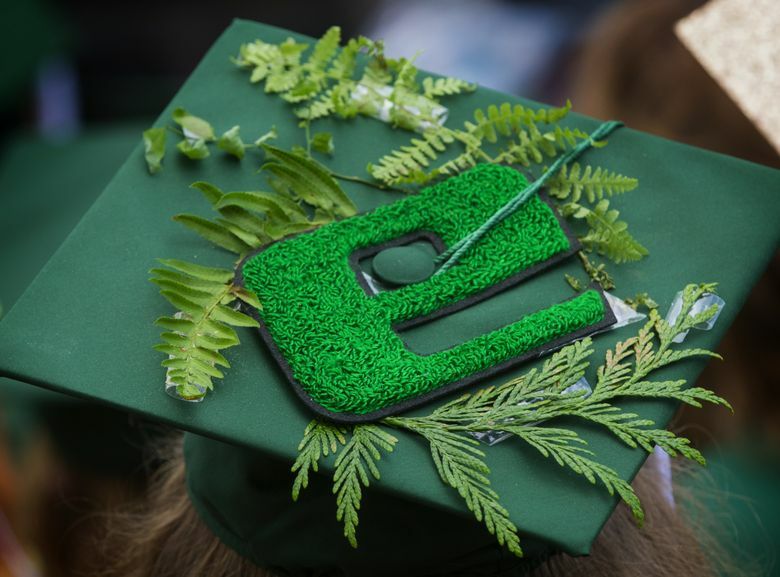 To others, Evergreen’s enrollment woes are almost surely due to last year’s negative publicity. 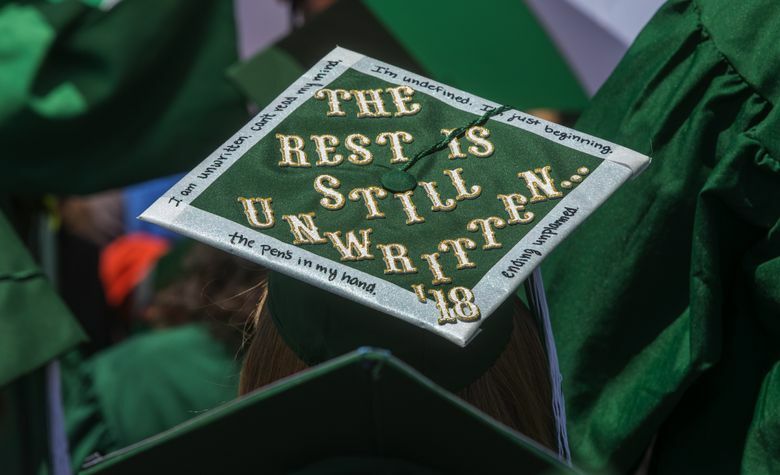 “The reality is, it was subjected to widespread criticism and even mockery,” said Scott Jaschik, the editor of Inside Higher Ed, a national online magazine that covers higher education. He said he has a hard time believing the enrollment decline is due to any other reason. 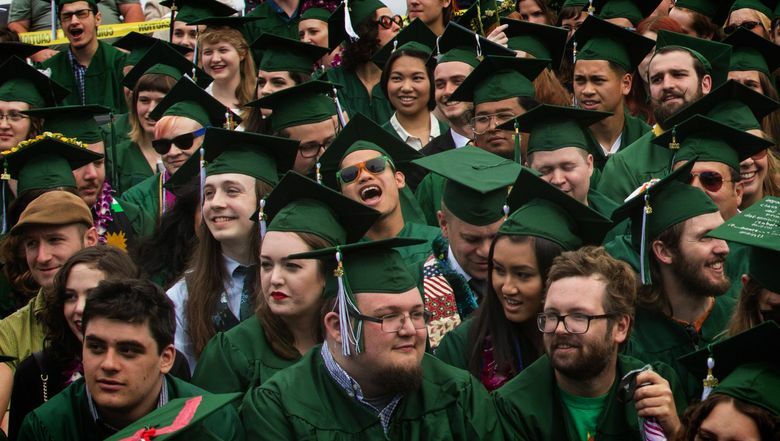 Founded by the state in 1967 as an experimental, nontraditional college, Evergreen is an outlier in many ways — it’s one of the nation’s only alternative, liberal-arts colleges that’s also publicly funded. Most liberal-arts schools are private, and many are located in the Northeast. In a sense, Evergreen reinvents itself every year. It does not offer a set of core classes that constitute the basis of specific college majors; many Evergreen courses are taught by teams of two or three professors from different disciplines, and the curriculum is constantly revised or rewritten. From year to year, its course catalog varies. Most students take a single course each quarter that runs 16 hours a week, and receive a written evaluation from their professors instead of a letter grade. 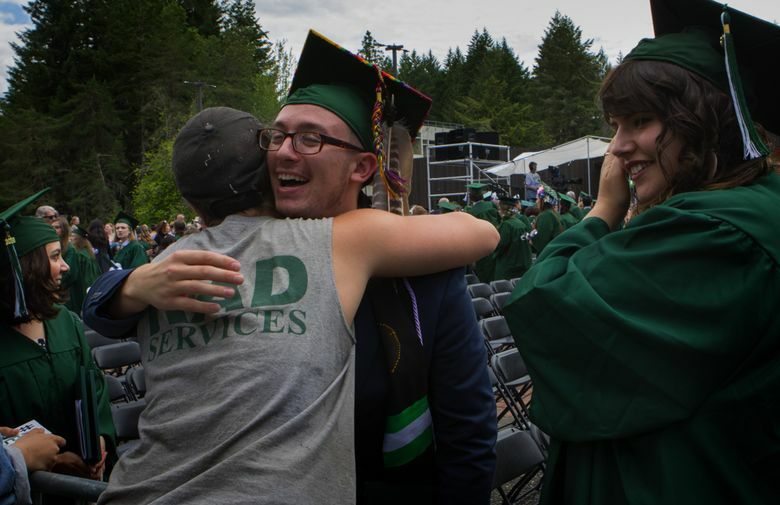 Evergreen accepts 95 percent of its applicants. About 38 percent of freshmen receive federal Pell grants, meaning they are low-income, and about 17 percent are underrepresented minorities — black, Latino or Native American. Last spring, a complex series of issues centered on race came to a head when a professor criticized the “Day of Presence/Day of Absence,” in which organizers asked white students to stay off campus for a day. The professor, Brett Weinstein, received death threats, as videos of students shouting him down and taking over campus buildings went viral. An anonymous caller’s threats forced the college to close for two days. The conservative political group Patriot Prayer marched onto campus and clashed with students. 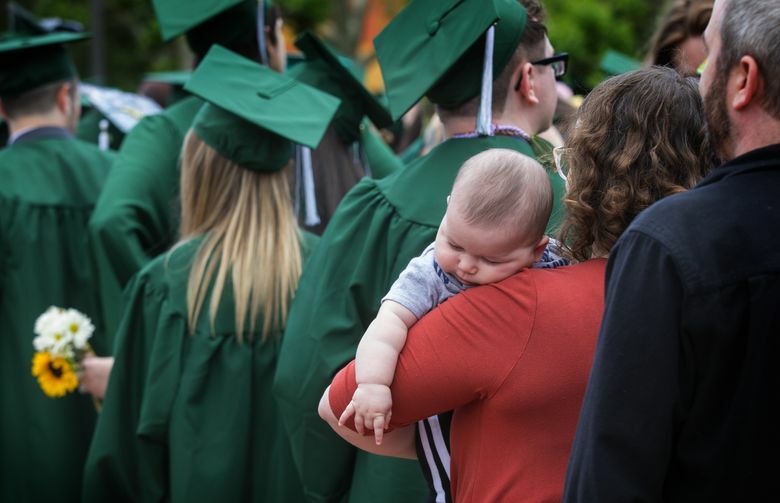 The atmosphere was so raw that last June, Evergreen couldn’t hold its own graduation ceremony as usual in the college’s central plaza, choosing instead to hold it at Cheney Stadium in Tacoma under tight security. Fast-forward to this year: The college did not sponsor another “Day of Presence/Day of Absence,” although some students held their own event. There have been no major student protests, or campus closures because of death threats. 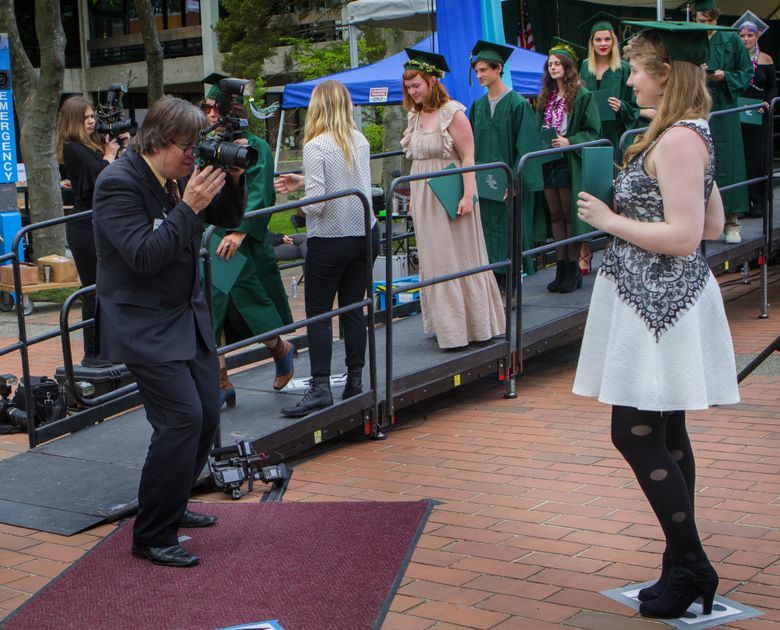 Graduation was once again held on Red Square plaza. The campus feels safe, as it has always felt, said Prouty, the faculty member. Only the perception of it has changed, she said. But Evergreen has remained in the spotlight. Just last month, in a column critical of President Donald Trump, conservative Washington Post writer Michael Gerson called out Evergreen as one of those college campuses “where consciousness has been raised into the stratosphere of silliness and boorishness.” Month after month, especially on conservative websites like Campus Reform and The College Fix, Evergreen is in the news. “Once upon a time, when there was a conflict on campus, it stayed on campus,” said Teresa Valerio Parrot, the founder of TVP Communications in Denver, which advises colleges and universities on public-relations issues. In today’s charged environment, activists who want to disrupt a left-leaning college’s culture often go straight to media outlets to express their outrage. “They’re protesting the greater campus culture, and how they don’t fit into that,” she said. 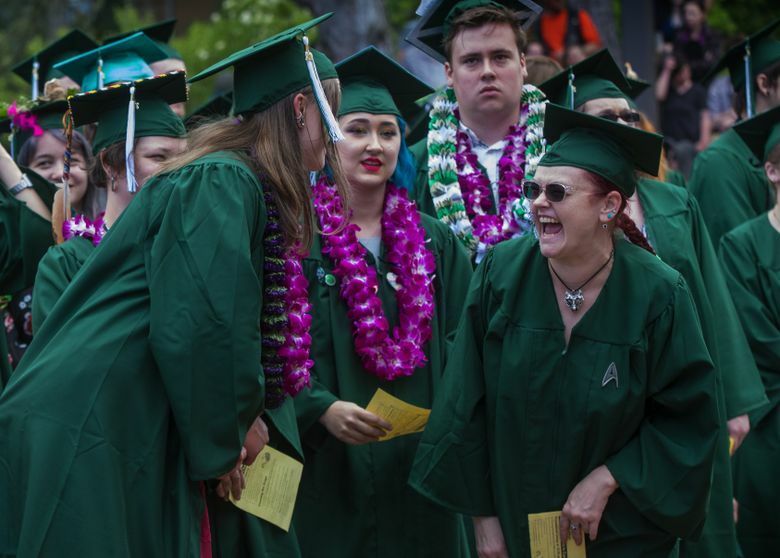 Even before last spring, Bridges — who became Evergreen’s president in 2015 — was working on a turnaround plan to address a decade of declining enrollment and to change the school’s model. With help from the Mellon Foundation of New York, the college has created seven new pathways of study that will help students plan which courses to take over four years. Examples include media, literary arts, food/agriculture and integrated computer science, math and physics. The college will also begin a marketing campaign designed to better tell the story of Evergreen. And it has hired a new provost and new leadership team. Because the college has a rolling admissions deadline, its projected fall enrollment decline is a prediction. 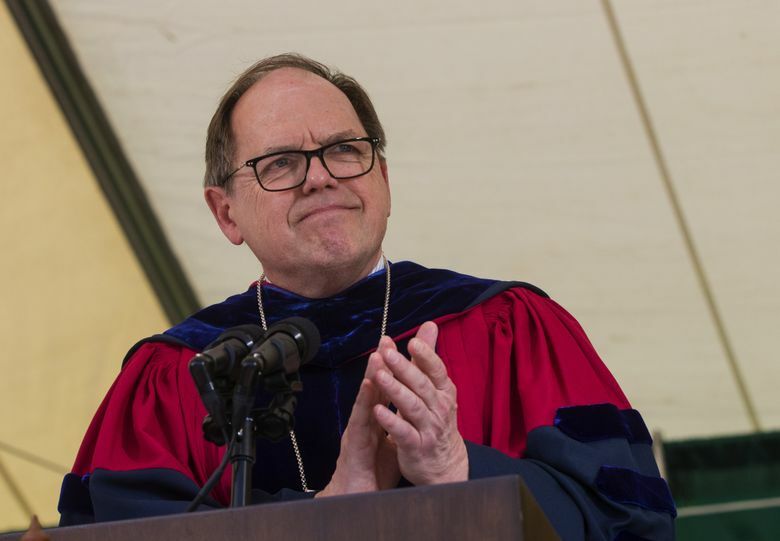 But to prepare for a drop, it has had to cut $6 million out of its budget — a little over 10 percent of the total — and lay off 20 faculty and staff. In addition, 19 vacant staff positions will be unfilled. Michael Zimmerman, one of Evergreen’s outspoken critics, thinks the college isn’t doing enough to make itself welcoming to people from a wide range of backgrounds. Zimmerman was Evergreen’s provost from 2011 to 2016; he says Bridges asked him to leave that post shortly after he took office. He still has tenure at the school and plans to teach there. Faculty member Mike Paros agrees. He says some data show that students who dropped out didn’t find the curriculum rigorous enough, or didn’t fit in. Paros is teaching a class in fall 2018 titled “Liberal Education in the College Bubble,” and plans to use Evergreen as a case study. The class is full and has a waiting list. 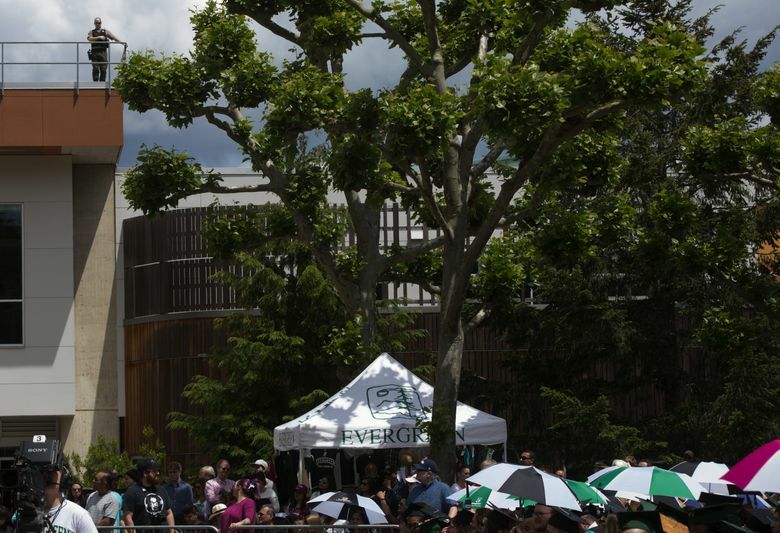 Prouty and several other faculty members said they believe many prospective students aren’t applying because they’ve gotten a distorted and very negative idea of what Evergreen is all about.